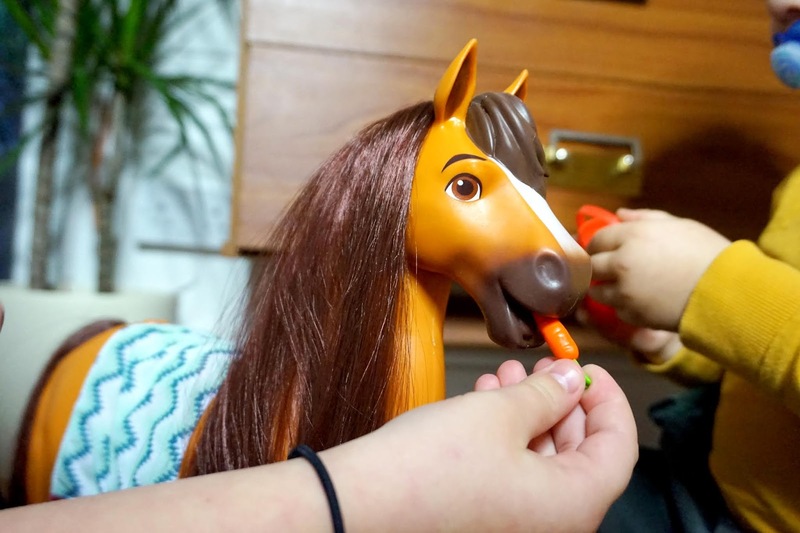 If you personally know my eldest daughter, then you will know that she is horse mad and one of her favourite tv shows is Spirit. We have been kindly gifted a couple of Spirit toys recently which you can find below. 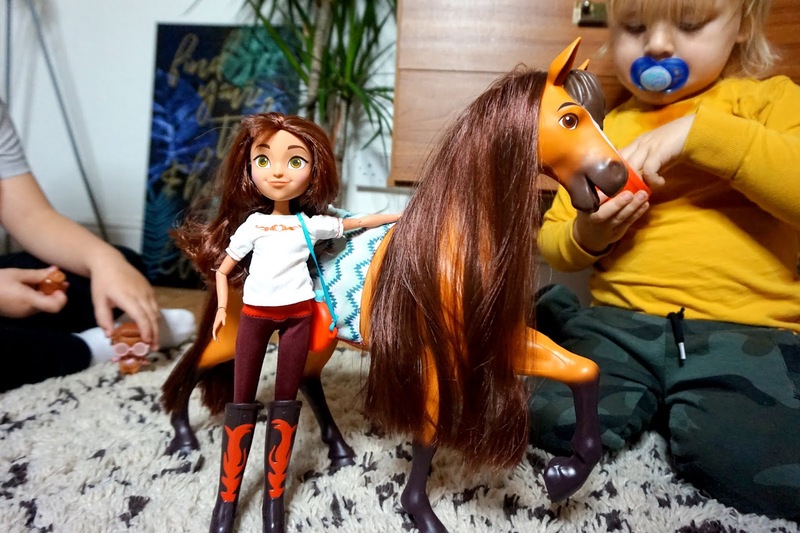 However, this time we were kindly gifted this Spirit Riding Free Deluxe Feeding Set to review and even I was looking forward to opening it up! Spirit products are flying off the shelves this Christmas, and I can understand why too. The show has become really popular, and Spirit is a definite must have this year. 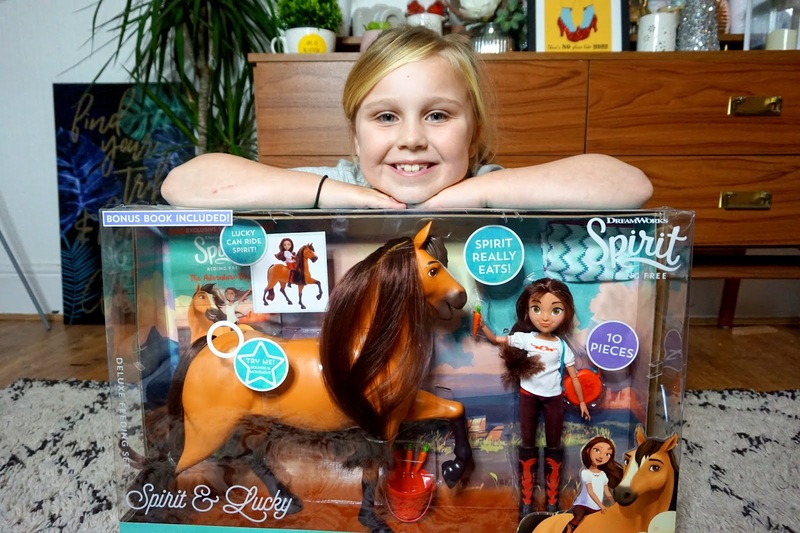 My eldest, Mia, was over the moon when she was given this Spirit Deluxe Feeding Set to review and in all honesty, I was a little too excited to open it up too. Both Spirit and Lucky are large sized which is great for imaginative play, and Lucky has poseable arms too which makes it easier for you to play with her and re-act episodes from the Spirit shows. 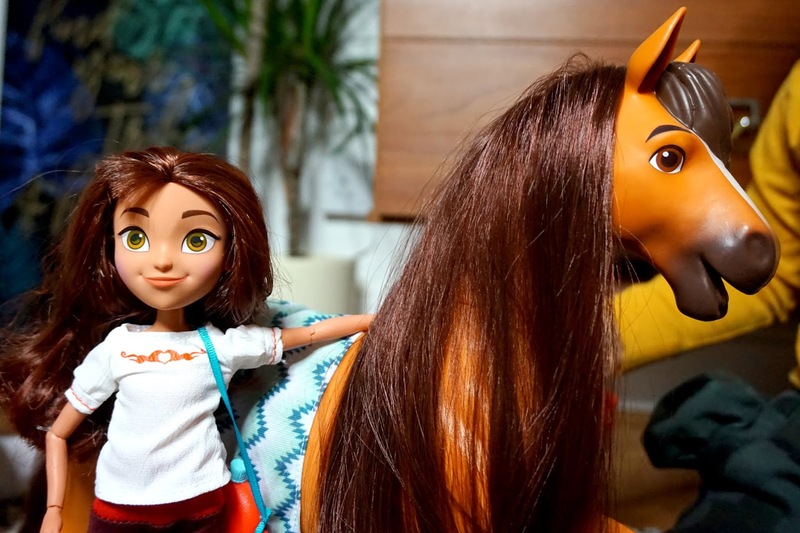 - x1 DreamWorks Spirit Riding Free: The Adventures Begins book. Both Spirit and Lucky are great quality and both good in size too. 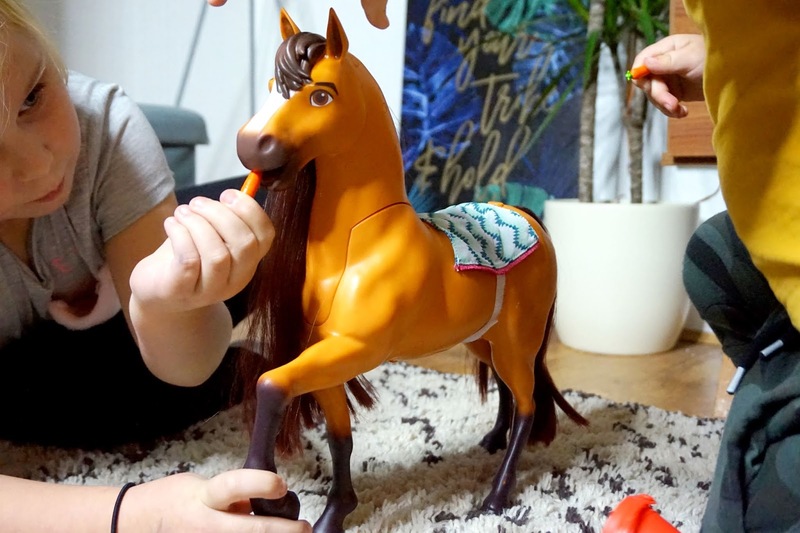 Spirit has a silicone type mouth that moves and makes realistic horse sounds when activated by pressing the button on his back. He can eat the play carrots and even move his head up and down when he wants something to eat or drink. Lucky is dressed in her signature boots and outfit, exactly like the show and her poseable arms make it easier for your child to play. All Spirit fans will have hours of fun with this Deluxe Feeding Set, and it's bound to be a firm favourite. A bonus with this toy was the 27-page book that came with the set. Mia loves to read, so she was over the moon when she found this included in the box. She couldn't wait to read it before bed. • Spirit himself and Lucky are good full size. • It comes with a full 27 page reading book. • Spirit makes realistic horse sounds. • Spirit can move his head up and down like a real horse. • You can feed Spirit his carrots! • Lucky is posable which makes it fun for imaginative play. • The price is a little steep, but in all honesty, I think it's worth the money for a main/big present. You can buy a Spirit Deluxe Feeding Set from Smyths Toystore.